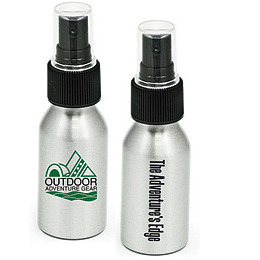 All natural customised insect repellent spray, containing Citronella and Tea Tree essential oils. This non toxic formula of private label insect repellent is suitable for sensitive skin. Uses a non-aerosol pump which is safer for the environment. Contains approx 50ml. Silver bottle with black atomiser cap.